Nothing like the sounds of traditional music, and the stories behind it! 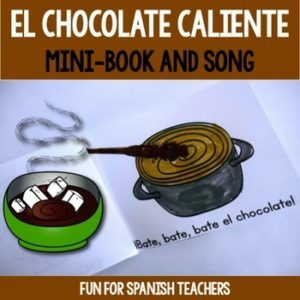 I love when I am able to find a song that belongs to and represents one of the Spanish speaking cultures – and use it in my classes. 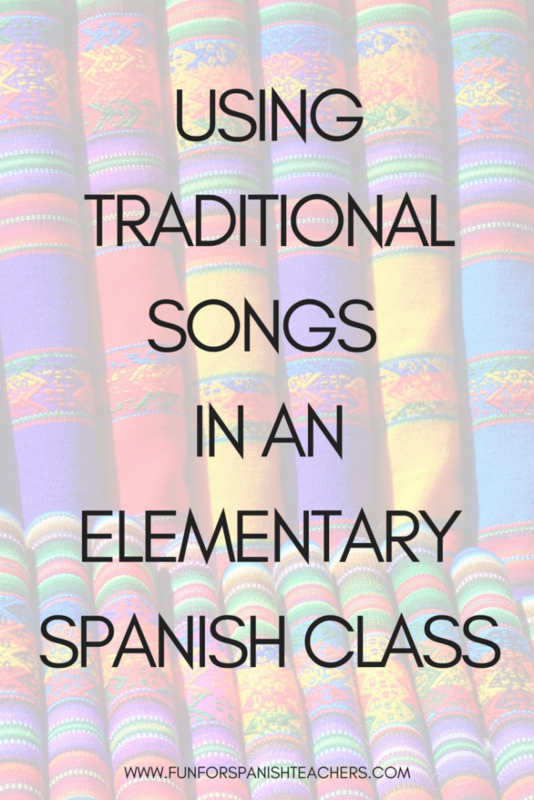 Bringing traditional songs to the classroom is a way to teach our students that the Spanish speaking world in not just one culture, but that it’s made up of many cultures. It’s a way to show that there is all kinds of cultural diversity out there. However, using traditional songs in elementary school is not an easy task. Finding traditional songs that suit the levels we teach can be challenging because sometimes they have too much vocabulary and complicated structures and sometimes not enough repetition. So I know I have to work on simplifying them for my students to comprehend. Sometimes I just choose parts of a song to focus on, which usually happens to be the chorus. Identify the vocabulary or structures you want to focus on. Provide background about where the song is from. Use a map to locate the country where the song is from – and with today’s technology you are even able to prepare your students with virtual field trips using Google Earth. You can even make a play passport for your students to keep track of when they learn a song from certain country. This may vary a little from teacher to teacher, but I let my students listen to the whole song without stopping the first time. Focus on creating meaning. I also like using TPR and create gestures that go along with the song. When songs are too complex for my level, I focus on the chorus which most of the time provides a lot of repetition. This is also optional, but if you happen to have some of the instruments that are used in the songs, pass them around and have your students experience them. If you have a library in your classroom, print the Powerpoints, laminate the pages, bind them together and add them to your library. This is one of my favorite songs. 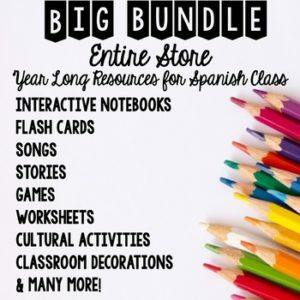 I used it with my kindergarten students this year, and their reaction was beautiful! The first time they heard it they were in love with it, but some of them expressed sadness. I love how they were able to feel the song without the need to understand every single word. I created a Powerpoint to talk about the song before teaching it to the class. I took screenshots of the video and added more images to use while taking about the pictures. Believe it or not, there is a lot to talk about in these pictures. Below you may find a sample of a script that I used while talking about the pictures. Expect some of the children to come up with more details. I used this song with kindergarten close to the end of the school year. I noticed that sometimes my students participated by using English, but I let it go to avoid frustration and would do the following instead. 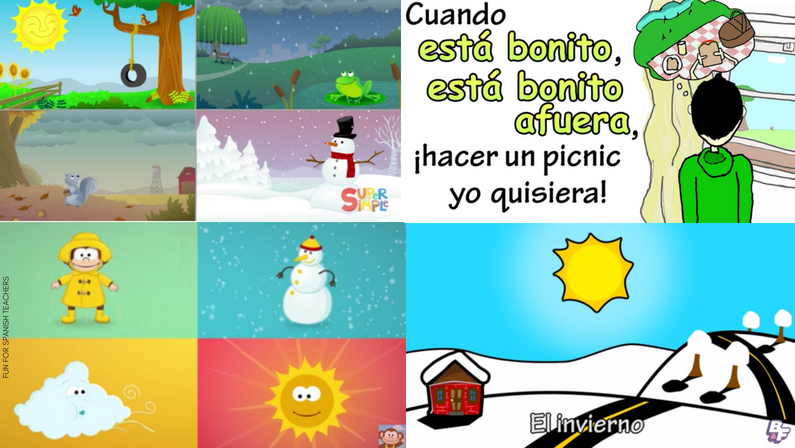 For example, one of my students said “There is a sun!” Then I pointed to pictures saying “Hay un sol,” then pointed at the side pictures on the slide, saying “Hay una luna.” Then I went back to the slide and said “¿Hay un sol o una luna?” In this way, I was giving them some vocabulary prompts and avoided some frustration at this level, allowing it to flow naturally. Here is an example of the conversation I had with my students using the slideshow I created to make the song comprehensible. ¿Qué animal es? ¿Es un perro? ¿Es un gato? ¿Es una llama? No, no es una llama. ¡Es una vicuñita! ¿Es un perro o una vicuñita? ¿Dé que color es la vicuñita? ¿Hay vicuñitas en Austin, Texas? ¿Qué animales hay en Texas? ¿Dónde hay vicuñitas? 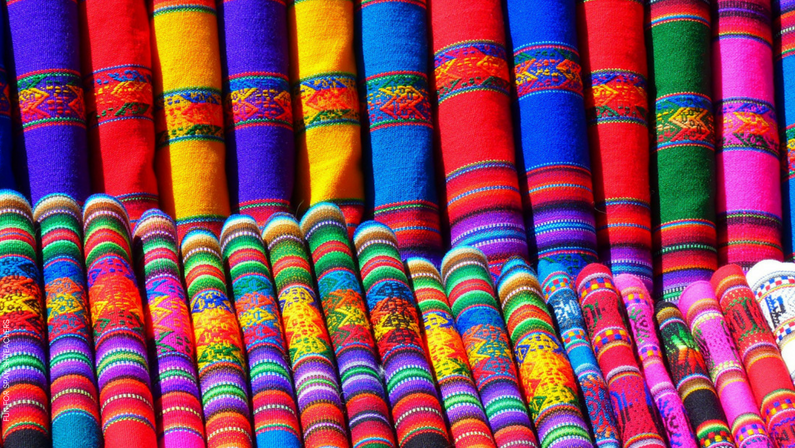 Hay vicuñitas en Perú, Bolivia, Argentina y Chile. This is a great opportunity to pull out a map! ¿Qué animal es? ¡Hay una persona! La persona mira la vicuñita. ¿La persona es amiga de vicuñita? ¡Hay un sol! ¿Hay un sol o una luna? Hay cerros, muchos cerros. ¿Hay playas? ¿Hay playas o cerros? ¿Hay playas en Austin? Hay otra persona. ¿Es una niña o un niño? La persona no es amiga de vicuñita. Es un cazador (hunter). ¿Es un doctor o es un cazador? Vicuñita está triste. ¿Vicuñita está triste o feliz? Vicuñita no está feliz. ¿Vicuñita está en la playa o en los cerros? Hay lana, mucha lana. ¿Hay lana o plástico? El pelo de vicuñita es bueno para lana. El cazador quiere la lana de vicuñita para hacer un suéter. Hay un círculo. ¿Hay un círculo o un triángulo? Vicuñita está con sus amigos. Del cerro yo vengo con mi vicuñita. Cantando y bailando para mi cholita. Yo soy vicuñita y vengo de la Puna. Vengo escapando de los cazadores. mala ya la hora de ser vicuñita. todos me persiguen por mi lana fina. Last, but not least, we create gestures together to go along with our singing of the song. It definitely takes time to make sure the song is understandable for the children and even more at the beginning levels, but the reward is worth it. 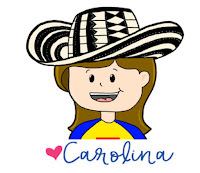 My students kept asking for this song, and a few of them shared with me in the end of their year evaluation / reflections that La vicuñita was their favorite song. I shared a post on Instagram where you can hear just how much they were feeling the song. 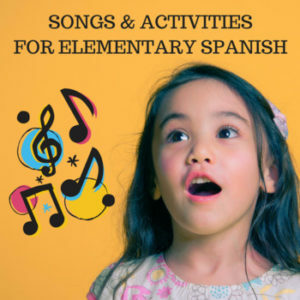 This is a collection of songs that can be used with different grade levels. 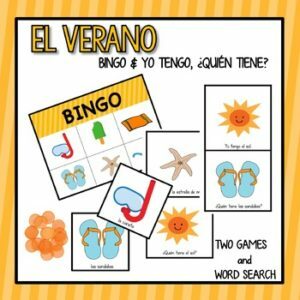 They include a variety of vocabulary to express weather in Spanish, so I recommend you listen to them all and pick the one that fits your curriculum or lesson the most. 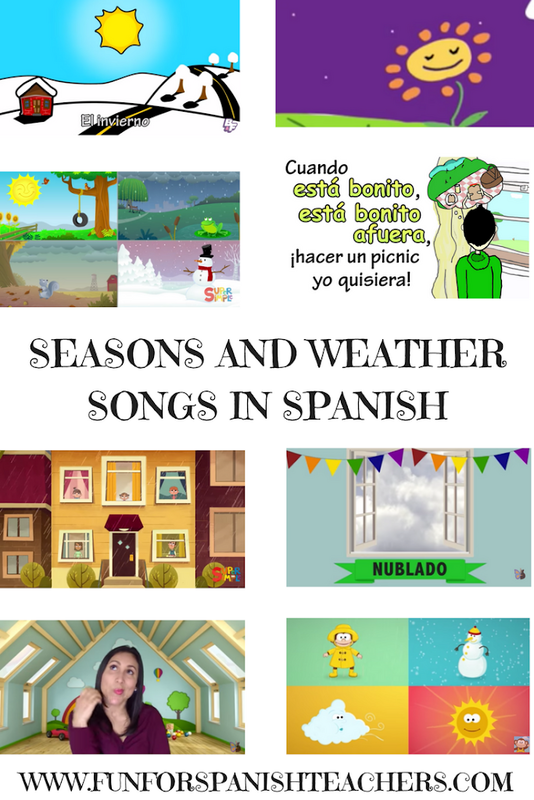 Here are my favorite seasons and weather songs for elementary Spanish from YouTube. 2. ¿Cómo está el día? 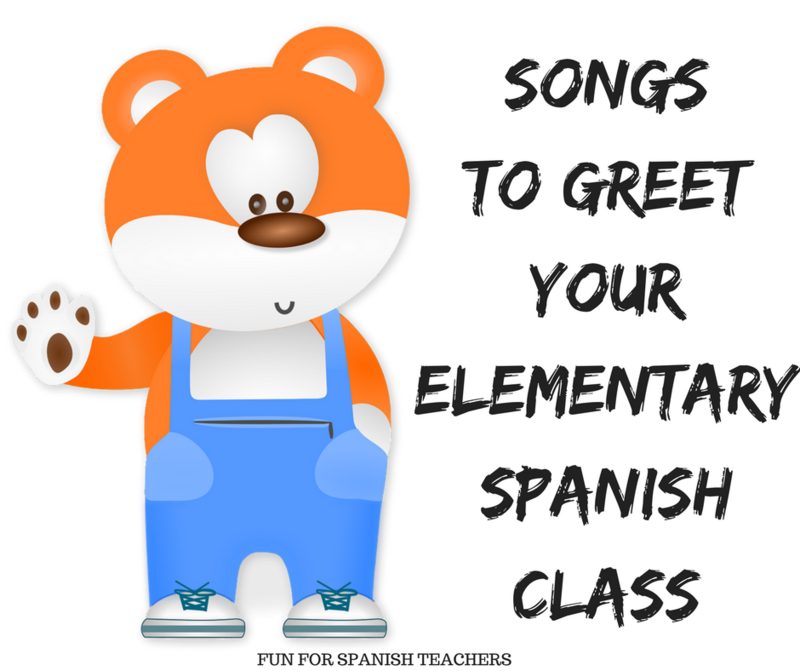 Have fun singing in Spanish! 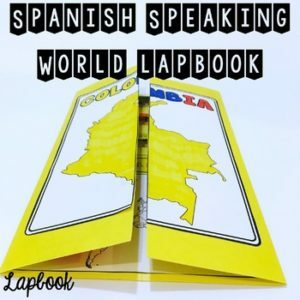 These words come in handy in every class! 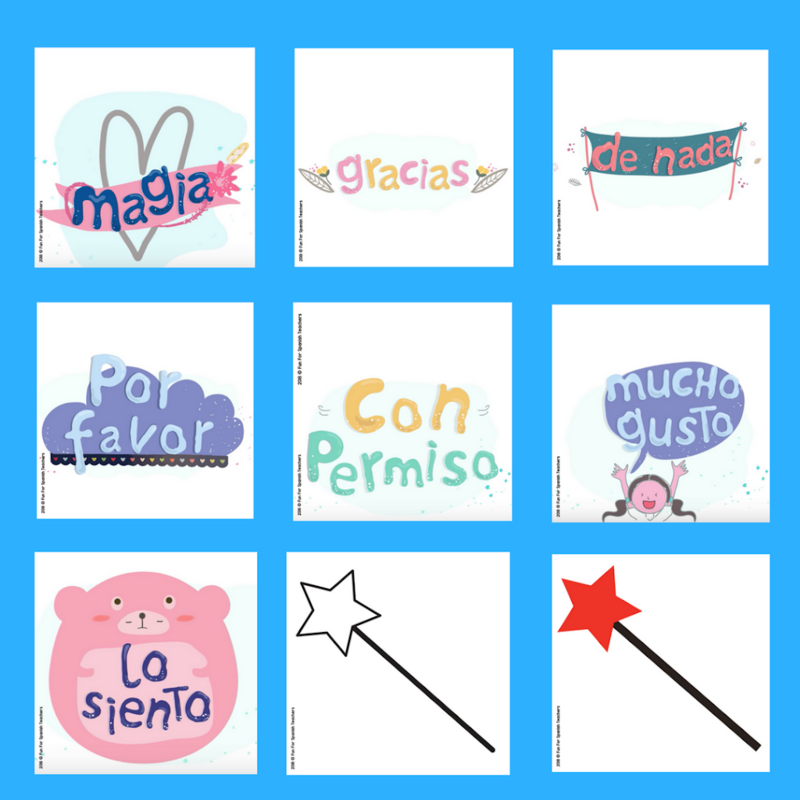 Use fun reminders and encourage children to use them in their daily interactions. Print the flash cards and laminate them for durability. Introduce them in a bag. Take each word out and read it aloud. Pretend to do magic tricks using the paper wand included in the cards. Create movements or gestures for each word. You can also use Google to learn the signs from American Sign Language that goes along with each word. Use them when singing the song and invite everyone to sign and sing with you. Download your flash cards HERE! If you have ever taught preschoolers you already know that they need to move a lot! Moving is part of their learning and growing, so why not use it as a tool to engage them? 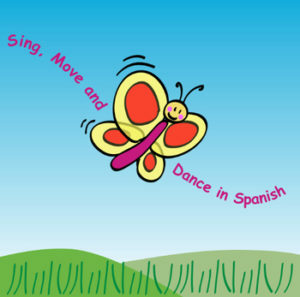 Here are five songs that are part of my Spanish & Movement program. I use a big inflatable beach ball with this song. 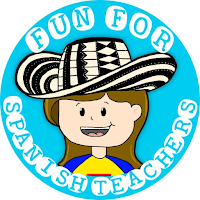 I toss it around while we practice the phrases “pasa la pelota” and “tira la pelota.” I also have small inflatable balls for children to use in pairs. I do have to admit that it gets crazy, but children love it. Something that works great for me is modeling the phrases before playing the game. Through teaching Spanish to babies and toddlers I discovered these awesome bubbles by Gymboree (please note that I am not associated with them or endorsing their brand, but the reason I do really like their particular bubble formula!). The best bubbles need to be light enough to float and hang in the air and not pop immediately when touching other bubbles. 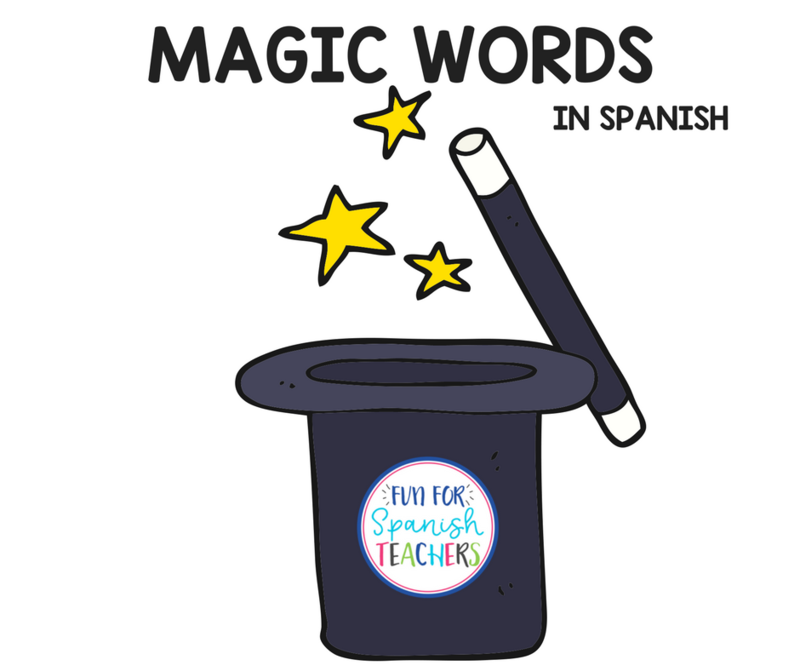 This is so that children can capture them and then pile them up on their hands in bunches, giving me time to count and also practice repeating “más, por favor.” I haven’t yet met a preschooler who doesn’t like bubbles! 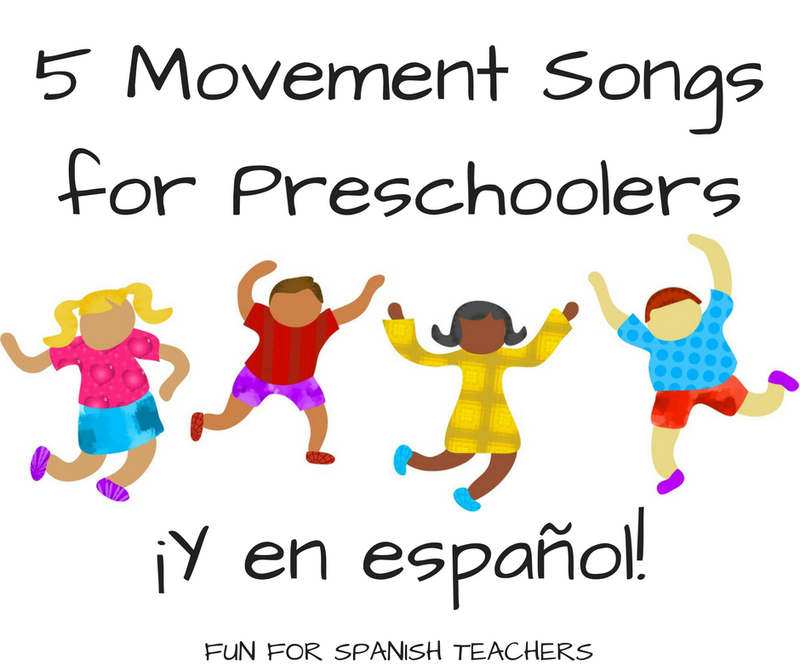 This song is great to practice naming the parts of the body while moving. I love adding other parts of the body that are not included in the song. 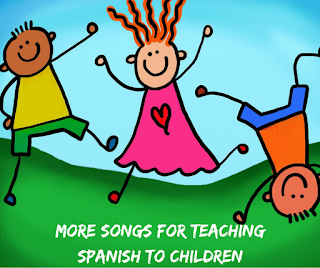 I also sing the song without the music and ask the children to choose a part of the body they would like everyone to sing in class. 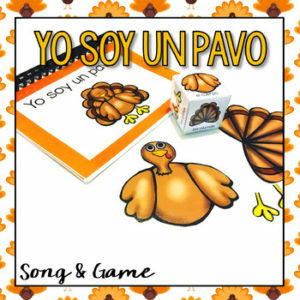 Use TPR to introduce the vocabulary of the song to the class. Start playing the drum. 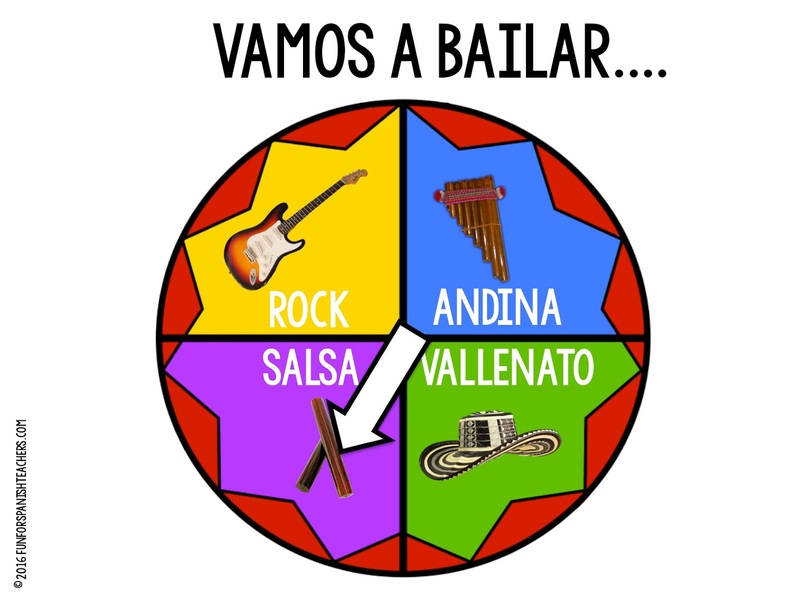 Have the group stand in a circle and follow every movement in the song: baila, camina, marcha, salta, corre, duerme and despierta. Nothing like parachute time! If you don’t have a play parachute, a big piece of fabric works well, too. Click here to find more ideas. 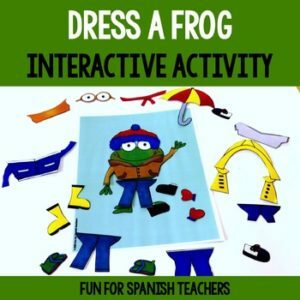 If you are looking for more tips for teaching Spanish to preschoolers, I have a whole post dedicated to that topic. Please click here to visit the link to it! I consider myself lucky that I get to see my students for 5 days out of a seven-day cycle schedule. I see my Kindergarten students for 25 minutes per class session and my first graders for 40 minutes a class. I always start my class with a greeting song and since the school year has started I have now used about five songs. YouTube is always a great place to find all those songs. 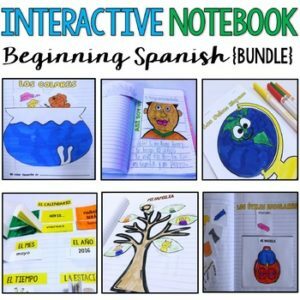 I am sharing with you the ones that I have used so far, and I know for sure that my students love, and some that I plan to use in the future! 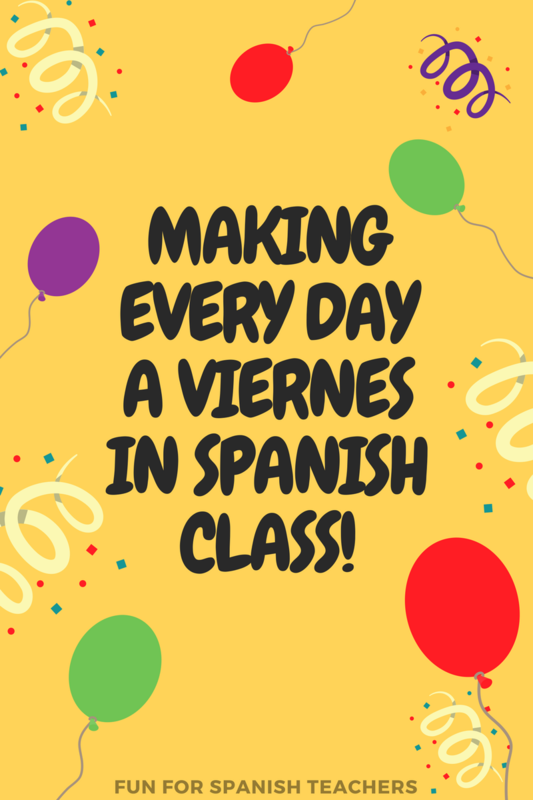 You no longer need to wait until Friday to dance in Spanish class! Get your students moving any day and at any time. Dancing in class is an awesome brain break and also an opportunity to share some culture through music. Download the PowerPoint below to choose what rhythm to dance to in class. Make sure to use the PowerPoint in presentation mode. Click on the word “girar” to let the drums roll! I also added some of my favorite songs so you don’t have to go all the way to YouTube to play them in class. Freestyle dancing works great during this activity!